And they do. Yes, eighty two games is a long season and one off night or one blowout win is not going to make a dramatic standings difference. Yes, early season marquee matchup games are often over-hyped and over discussed (Who can forget the unnecessary backlash after the first Big Three era Heat game did not go so well in Boston in 2010?). Yes, sitting through any 76ers game at this point is a punishment that fits somewhere among descriptors “cruel,” “unusual,” and “depressing.” The NBA regular season has too many games and too many nights that are mere afterthoughts of a much too long season (certainly in terms of games) that doesn’t find its full gallop until closer to the end of the race. In a season where an average team’s intent to “tank” seems to be as pervasive as any attempts to “win,” this has been a particular problem in the 2013-2014 NBA season. The final score, the most lopsided Heat defeat of the season, was a lot worse than it had to be after the Heat seemed to entirely fall apart in the middle of the fourth quarter. LeBron may see the “popular with no one” sleeve addition to uniforms as part of the problem, but this does not give enough credit to the unrelenting and consistent excellent basketball that has come out of Tim Duncan and the San Antonio basketball team for the last 15 (!!!) years. Every year seems to be the time for the Spurs to take a step or two backwards, but as game’s like last night continue to prove, the Spurs will again be in the mix to win an NBA Championship this spring. After taste testing Duncan and Pop’s fifth title in Game 6 last year (Parker and Ginobili’s fourth) before Ray Allen went all “I am the best three point shooter of all-time for a reason on us,” this may have been the season to finally regress a little bit, but clearly not so fast. Despite wonderful roster flexibility, a necessity against the Western Conference juggernaut row that they will have to face to get back to the Finals, and more experience playoff experience than any other potential opponent, it is not going to be an easy journey (especially now that Scott Brooks realizes that injured or not, Kendrick Perkins largely injures his team on the floor). 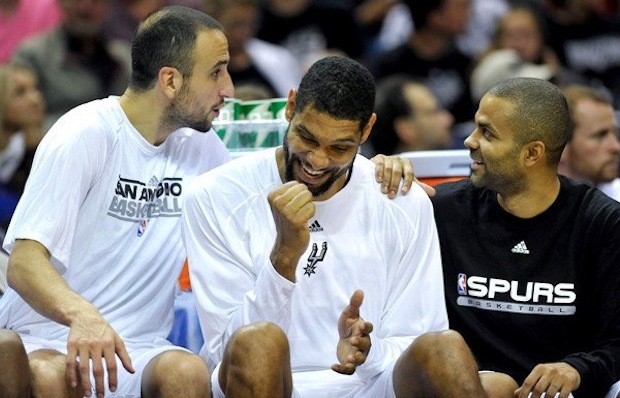 I just hope by now we have learned not to count out the San Antonio Spurs. Fact: It is March 7. Fact: The Phoenix Suns are still in position to make the playoffs (currently in the seventh seed and a game and a half out of sixth despite losing Eric Bledsoe to injury for the past two months). 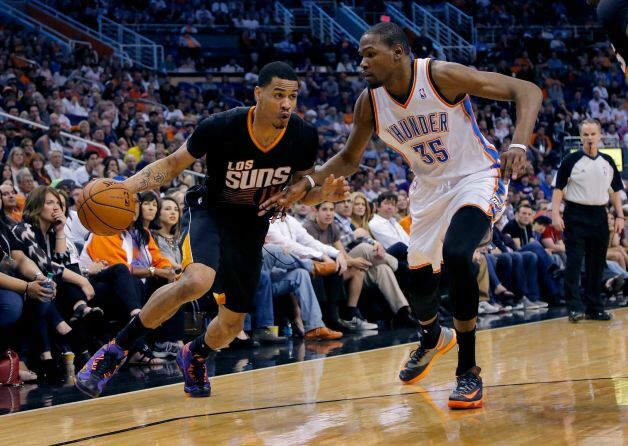 Fact: If you haven’t seen them, the Phoenix Suns are one of the most entertaining teams to watch play basketball. Fact: According to the people who talk and write about the NBA for a living, Jeff Hornacek is the frontrunner to win Coach of the Year. Fact: According to the people who talk and write about the NBA for a living, Goran Dragic is a legitimate third-place vote for MVP after LeBron and Durant. Fact: Gerald Green had the following stat line last night: 41 minutes, 12-22 shooting, 8-13 from three, 9-11 on free throws, 41 points. Again, this a fact (Yes it is 2014 and yes this is not some alternate universe in which the former Slam Dunk champion has become a perennial All-Star. Yes, this is still Gerald Green). In case math is not your forté, the Clippers beat the Lakers last night by 48 points (Wesley Johnson had a -40 +/-). The neo-rivalry that had been a little feisty since David Stern dictated the end of the Chris Paul to Lakers trade a few years ago officially blew up in this Tank-errific demolition clinic. These aren’t your NBA Champion Lakers and maybe even more so, these aren’t your cursed, Donald Sterling owned Clippers. 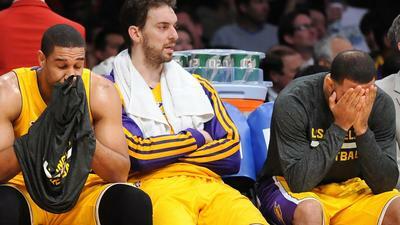 The balance of power in LA professional basketball reached the most extreme polarity it its history last night. These Clippers are a legitimate threat in the West.